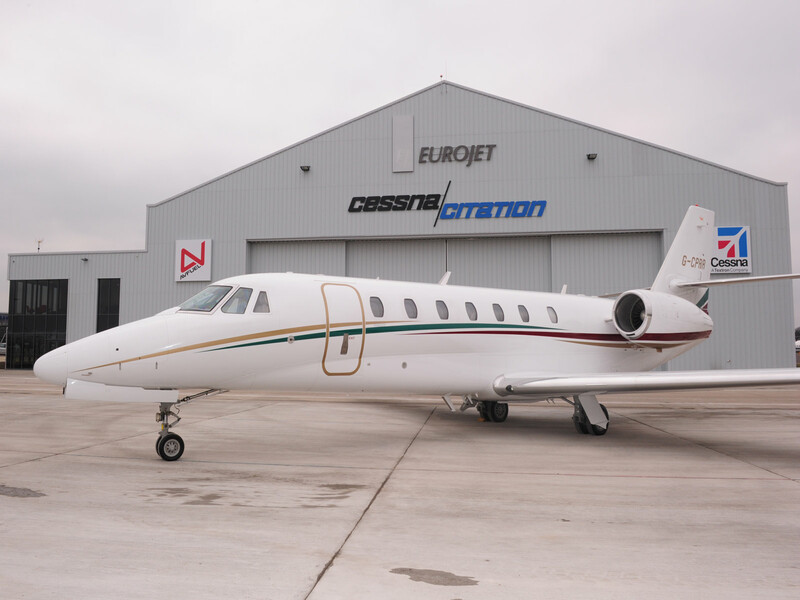 Eurojet Aviation Fixed Base Operation (FBO) facility dedicated to their premium private jet service. Working with contractor John Sisk & Son Limited (JSSL) on their successful tender to Birmingham Airport Limited (BAL), D5 were appointed to lead and develop the Employers Requirements through pre-construction to completion on site. D5 worked proactively with JSSL BAL and single tenant, Eurojet Aviation Ltd, to assist in the success of the project. Rapid procurement saw the project commence on site in August 2011 and complete in for use in January 2012. 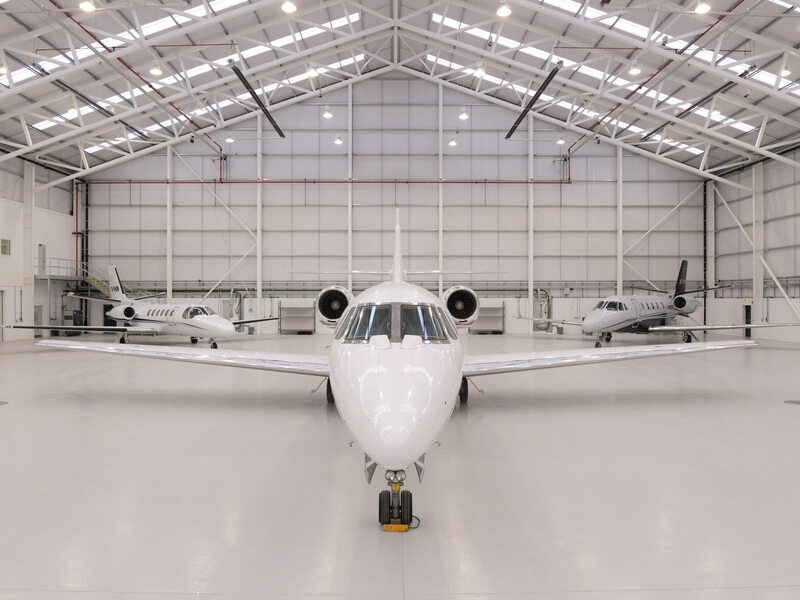 The facility provides Eurojet with its Fixed Base Operation (FBO) dedicated to their premium private jet service. The development includes a four bay hangar with ancillary workshop, storage and staff welfare facilities. 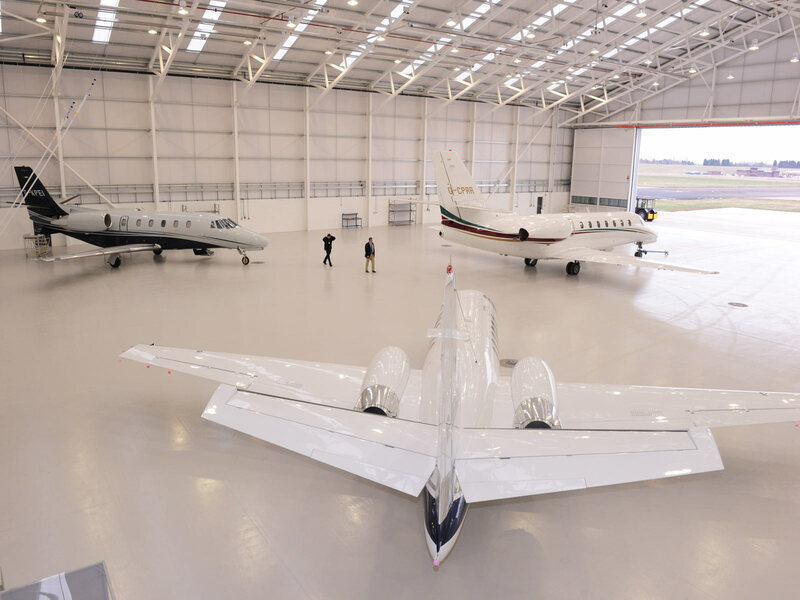 The hangar is supported by a suite of administration and sales accommodation, together with premium passenger facilities including departure lounge, check-in and security provision plus welfare facilities for private aircrews.